WASHINGTON -- Federal regulators announced Thursday they were suing Gerber, the well-known baby food maker, for claiming that its Good Start Gentle formula can prevent or reduce allergies in children. That claim is bogus, and the company misled consumers by suggesting that its formula was the first to meet government approval for reducing the risk of allergies, the Federal Trade Commission alleged in a complaint filed in federal court. The FTC says it wants Gerber to pull its claim from formula labels and advertisements. 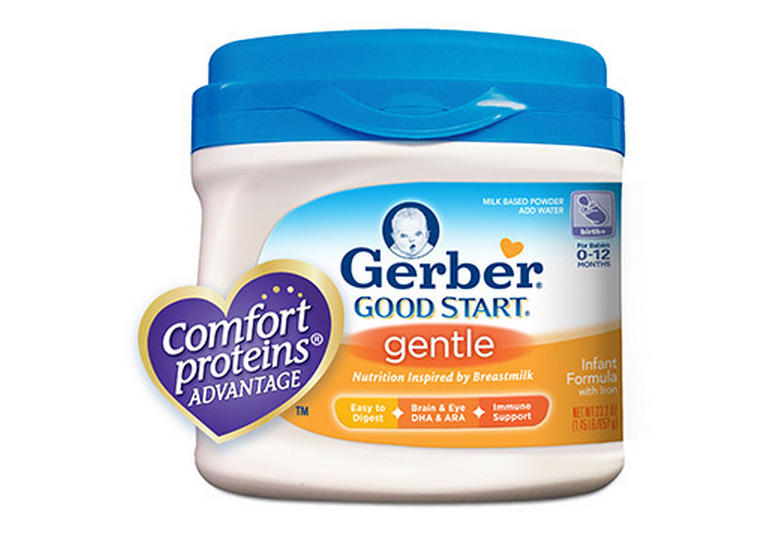 Gerber Products Co., also doing business as Nestlé Infant Nutrition, said it disagrees. According to the FTC, Gerber had petitioned the U.S. Food and Drug Administration in 2009 for permission to connect its use of partially hydrolyzed whey proteins to reducing atopic dermatitis. The FDA agreed, but only if Gerber qualified its statement by making clear that there was "little scientific evidence" for the relationship.